Two weeks ago, the United Nations Security Council (UNSC) has called on neutralizing the Forces Démocratiques pour la Libération du Rwanda (FDLR), a Rwandese rebellion based in Eastern Democratic Republic of Congo (DRC). While most of the rebel group’s leaders are prime suspects of 1994 genocide against Tutsi; from then on now, the FDLR fled and has been operating, committing different crimes in Eastern DRC. Their establishment as well as military power in the region have likely benefited from loopholes of DRC governance, but also from interests of seeing the question persisting to serve as a pawn. It is unlike that FDLR constitute currently a huge threat to Rwanda as they do to Eastern Congo. The recent propos, as reported by Medias, of the Rwandese minister of foreign affairs can roughly be interpreted in that way. From the minister’s point of view, the threat of FDLR to Rwanda looks uncertain despite the support they may obtain from X backers. The backing aspect remains hard to independently be verified by the blogger; but there might rather be a reorientation of the way of understanding FDLR claims in relation to Rwanda internal political dynamics. In any case, there is a possibility of believing that FDLR nowadays existence affects largely Congolese local population than it is in Rwanda. Additionally, despite the control over resources and power conflicts in the great lakes region, the FDLR question as a military group wouldn’t have lasted for 20 years. Informed observers will probably remind that the establishment of the FDLR in Eastern Congo had on first place benefited from the likely non-administered Zaire where they substituted themselves to administrative authorities. Therefore, as they became ‘rulers’ in some areas of the jungle, they got in touch of different means used to survive and increasing financial resources. However, the reader will also remind that countless “joint” military operations have taken place to get rid of the rebellion with slightly successes due to the diversion of the primary mission. Sometimes, these military operations, agreed or not by both countries DRC-Rwanda had seemingly refocused on other interests than weakening or solving sustainably this matter. At some point, it sounds to observers including myself to interpret the issue as an ‘escape goat’ aiming to find excuses over reaching the main interests related to power and resources. Back to the neutralization promised by the UNSC, military specialists discuss key challenges related to combat an armed group that is unconventionally organized. That is, fighting an armed force spread all around from Katanga to Grand-North/Kivu; while structured into small units. Eliminating the FDLR as currently organized while they are accompanied by children and women isn’t an easy task. Secondly, although called a “swift neutralization”, the reader needs to recall that FDLR is a military wing confounded with their families; while keeping hostage Congolese local population in some places. 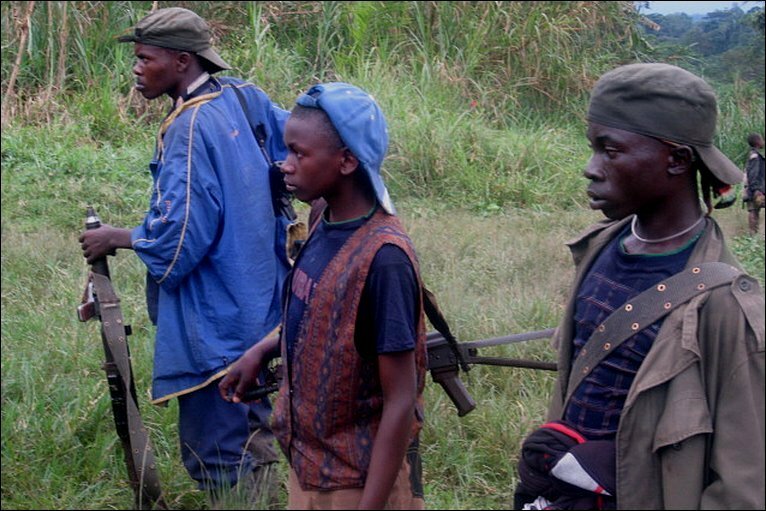 Besides the fact that FDLR is largely composed by young people who evolved within the jungle, disconnected with their home land Rwanda; it sounds that attacking such armed group, while the military operations will probably victimize women and children of their family members, remains a decision requiring to think twice. Moreover, there might be the possibility of even considering that those young soldiers went forced on way or another to join the FDLR having grounded claims. Thus, they might need an appropriate approach to serve them from being victimized too. When undertaking the FDLR question, the existence of several actors working on the matter with divergent considerations has attracted less attention to researches while it might interrupt regularly the way forward. That is, the fluctuating position of DRC government with regard to FDLR, the International Conference for the Great Lakes Region (ICGLR), the Southern African Development Community (SADC), MONUSCO-UN stances are likely conflicting around the strategies of implementing decisions with regard to their perspectives. Hence, the conflicting vision leads to postponing actions to be taken. As matter of proof, the reader can crosscheck the recent declaration of Special Representative of UN, Martin Kobler. Consequently, the appropriate way to handle the conflicting views would originate from the “willingness” of DRC government to terminate the matter and its possibilities to imposing it. So long as the DRC government position remains unstable and keeps changing based on contextual circumstances, the FDLR matter may still take long time to get solved. Thus it recalls the state capabilities to run autonomously the country with little interference; meanwhile considering people’s interests. Unfortunately, in some cases, there might be those who can still boost their names within these messes. In the same vein, the Eastern DRC wouldn’t expect breathing if internal governance challenges in Congo are overwhelmed by electoral ambitions to occupy the president office. These challenges must occupy the first place for the sustainability of peace, stability and development. The chocking feature a military attack against the FDLR is mostly, from the consideration of the article, related to collateral damages affecting local population. It makes me sad and it raises gloomy when reminding how all these military operations from different actors have left Congolese, in its Eastern part, exposed to death, sexual violence, crimes, and impoverishment. It was either the FDLR, national army, armed groups operating in the region, foreign armies using proxies which are responsible of the insane criminality through keeping local population as a hostage. Hence, launching a military attack against the FDLR raises a fear of seeing these atrocities repeated again and again. The FDLR’s politico-military support seems originating from different actors to the extent that they get inflated by even those claiming to see them wiped off the map. Consequently, as different findings and reports have exposed channels through which they get supported, the easier way to neutralize them is by once breaking strongly these political and financial channels as it has been exercised to other rebel groups. Thus breaking the channels would lead more or less to bending them for a lesser militarized solution. Crimes and atrocities committed by FDLR individual groups or their leaders in DRC have to be tried into courts. By doing so, the step requires to consider the “Congolese impunity culture” as well as regional armies’ role and responsibilities into atrocities committed in DRC. It sounds unsustainable trying to wipe off the map a military group such as FDLR by using guns and forces only. The discernment would recall the internal dynamics in their home country and possibly considering an appropriate solution to grounded claims for sustainably establishing peace in the region. These internal dynamics can still predict a fear over the future; while the long term solution would be worth of value than the mid-term. Contextually, the FDLR question is absolutely a drop in an ocean. Subsequently, solving specifically the eastern DRC problems in connection with the FDLR wouldn’t disregard the general political context of the country since long ago. Hence military options, international support… are advised to look at root causes of these perpetual crises with their internal and external origins. This consideration remains the only way to sustainably establishing mechanisms of long term stability. The point stresses slightly on 2016 elections; it’s rather underscoring how to manage Congolese socio-cultural diversities while halting illegal enrichment of rulers. In a nutshell, the long term solution of DRC crises lies within putting in place strong institutions than alternate strong leaders. You have a different viewpoint? PLZ share by dropping a comment.